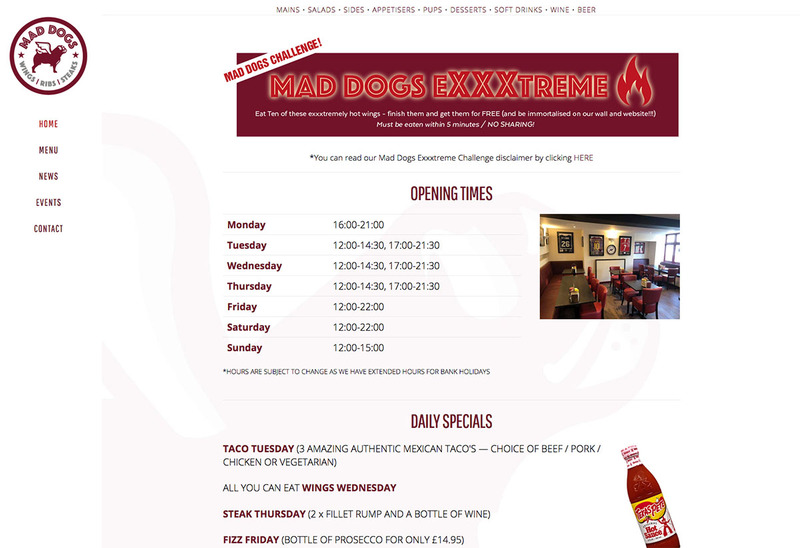 Mad Dogs Bar and Restaurant in Sherborne was a rebranding exercise. Previously, the restaurant was The Dining Room for which I also did the branding. 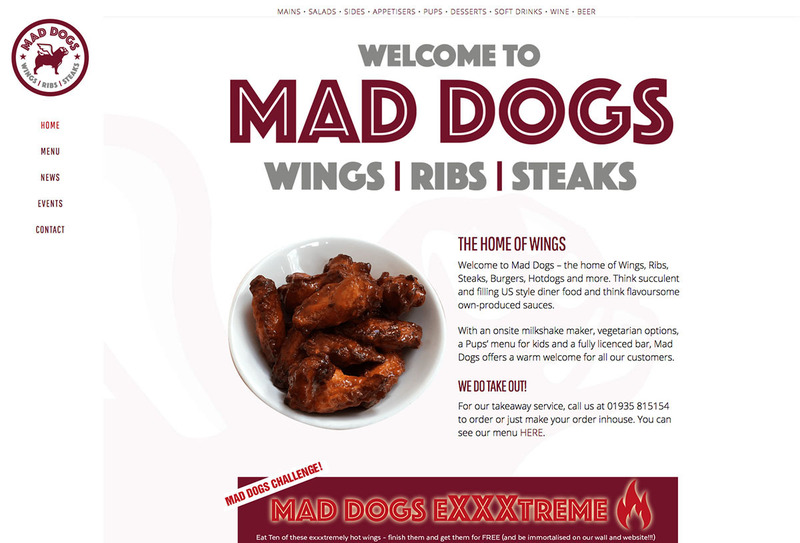 Grant Jones at Mad Dogs decided he wanted to change tack and go for an American diner style vibe. 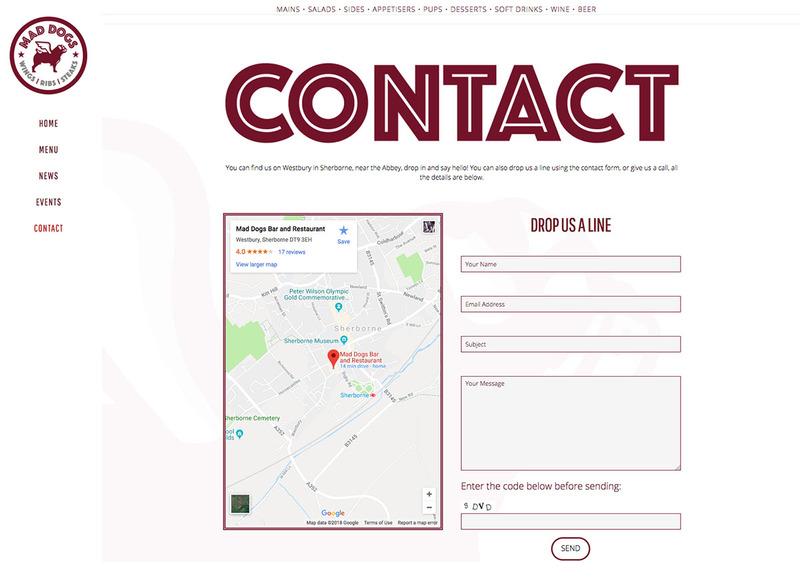 I was only too pleased to oblige and did a number a logos which I had enormous fun designing. 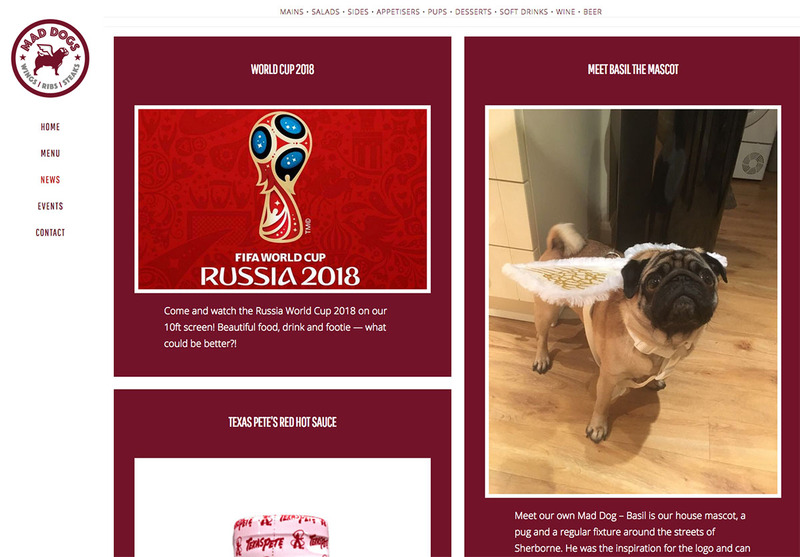 Whilst the main theme was ‘American Diner’, Grant and co-owner Marek wanted to have a British edge too so I came up with the idea of focusing on the ‘dog’ aspect of the name and drew a dog as the main emblem and mascot — though a bulldog was too cliche and had undesirable connotations so I decided upon a winged pug. The logo needed to be strong and unique because right from the start, franchising-out the brand was on the table so it needed to transfer to, and communicate easily with, all regions of the country. 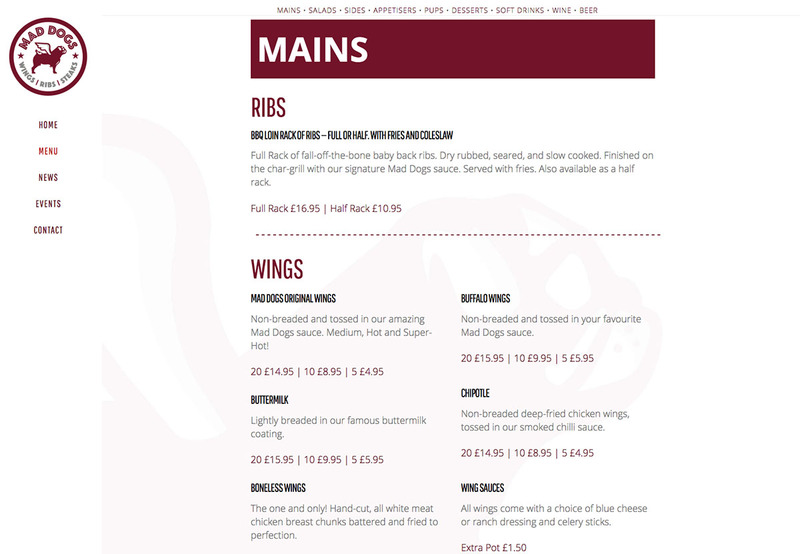 Once the logo and branding was complete, I then created the website and an A3 menu.